Michael Laun, STC's Producing Artistic Director, gathered a cast of 16 professional actors, featuring the phenomenal Nathaniel Hackmann as James Reed and audience favorite Jerry Lee as George Donner. 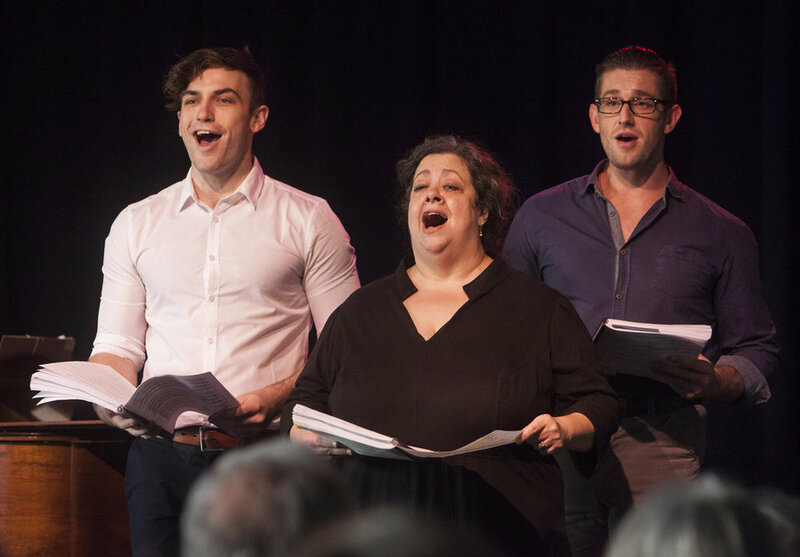 The company presented a staged reading of the show for an invited audience, and then launched the show with the Sacramento media at a press event including conversations with the writers and a presentation of some of the songs from the show. Also in attendance at the October 10 event were local theater personalities, Donner Party historians, and leadership from the Friends of Sutter’s Fort (the Community Partner for STC’s production of The Donner Party). Many in the audience weren’t sure what to expect when they were invited to attend a musical with this subject matter. 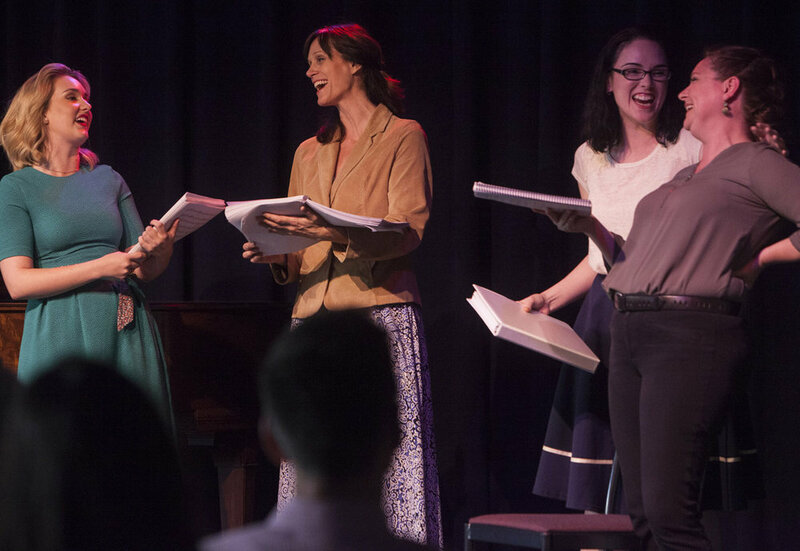 There have been so many ridiculous portrayals of this episode of history, many which use parody and grotesque humor, so the audience was understandably surprised to find this musical is written with a deep respect for the actual members of the Donner Party, the real people who lived and struggled and suffered. “We couldn’t be happier with the feedback!” reports Laun, “The audience responded with applause, laughter, and tears in all the right places.” The STC Box Office is already fielding requests for The Donner Party tickets. Joining Hackmann and Lee in the cast were Vivienne Cleary as Margaret Reed and Maggie Hollinbeck as Tamsen Donner, and actors from New York, North Carolina, and California: Sam Jones, Abbey Williams Campbell, Ryan Blanning, Cat Yates, Steven Minnow, Martha Omiyo Kight, Brian Bohlender, and Darek Riley. Also featured in the performance were several students from STC’s Young Professional Conservatory. Samuel Clein was Music Director for the presentation.